Students in Dan Brennan’s Advanced Film class recently produced a video for a contest sponsored by www.WeAreTeachers.com. The premise of the video and contest was to showcase students, faculty, and staff and the community completing the phrase “I Am More Than…” (#IAmMore). This issue of Warrior Wednesdays will be focused on safety protocols within our schools. Today, our students live in a time where violence in schools makes national headlines on an all too frequent basis. We are providing this information to those that may be new to the district or would like a refresher. Nothing is more important than the safety of our students and staff. Traditionally, schools across the country have used a procedure known as “lockdown,” which essentially meant locking the school building and classrooms and having students and teachers take shelter in their classroom. As times have changed, the protocols changed too. In 2014, Andover’s Emergency Management working group adopted the enhanced A.L.I.C.E. procedures, offering age-appropriate options that will allow our students and teachers to be better prepared if a crisis situation occurs. It became apparent that both staff and students need options to help deal with a threat while that threat is occurring. All Massachusetts school districts are required to adopt one of the response training programs options. Andover has selected the A.L.I.C.E. program. Alert: Get the word out using clear concise language, describing the location of the event. Lockdown: As a starting point, continue to lockdown students in secure areas. Inform: Keep staff and students informed, thereby allowing for good decision making. Counter: Apply skills to barricade, and if necessary, distract, confuse and gain control. Evacuate: Reduce the number of potential targets for the shooter, and reduce chances of injuries resulting from friendly fire when help arrives. We believe that offering additional age-appropriate options will allow our students and teachers to be better prepared if a crisis situation occurs. Providing a constant flow of information to everyone inside the building can allow opportunities to safely evacuate the building. An important goal of the A.L.I.C.E. program is to evacuate to a safe place. It is also critical to note that A.L.I.C.E. is not a step by step drill, but students and staff should choose what strategy is best for their unique location and situation. A.L.I.C.E. training is an important part of ensuring the safety of our students, and practicing this program is critical. School safety requires collaboration that involves the entire community. Andover’s Emergency Management Group involves police, fire, public health, DPW, facilities, IT, APS, and the town manager’s office. A.L.I.C.E. trainings are a coordinated effort with the Andover Police Department and APS. 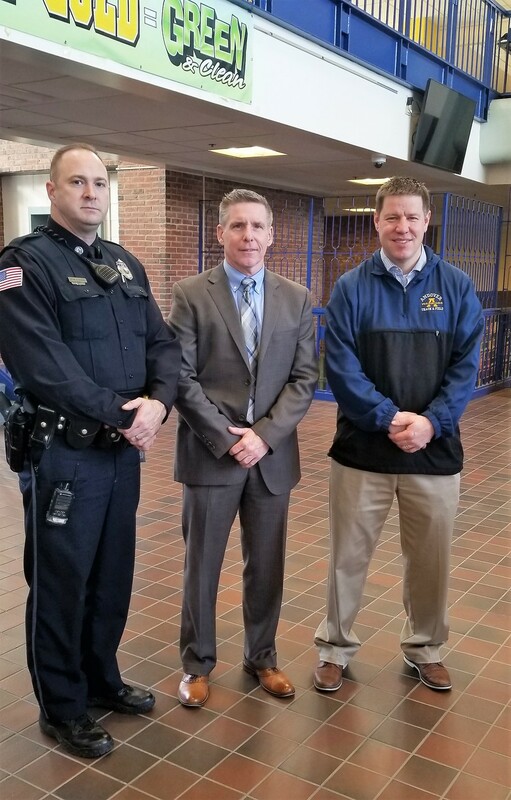 These trainings are led by Detective Mark Higginbottom and School Resource Officer Barry DuBois from the Andover Police Department and Paul Szymanski, assistant superintendent for Finance and Administration for Andover Public Schools and the school principal. At the high school, Assistant Principal Scott Darlington takes the lead on these trainings, in collaboration with Principal Conrad. 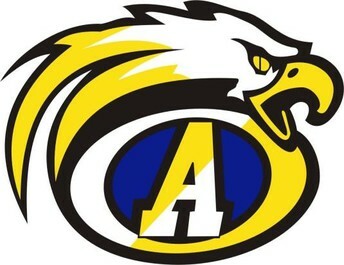 All schools’ administrators also work in cooperation with school health representatives and the Andover Fire Department. Drills are performed at all schools and for all age levels, and trainings are tailored to be age-appropriate. A.L.I.C.E. training is typically scheduled for the start of each school year, and include both announced and unannounced drills throughout the school year at all schools. Due to the gas crisis in September, school administrators and the Andover Police Department postponed the start of these drills. Andover High School held its first announced A.L.I.C.E. drill of the school year on Thursday, November 1st. 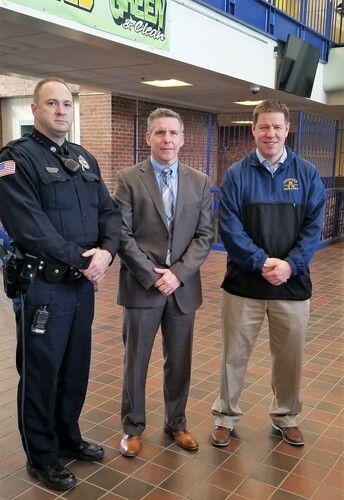 In collaboration with the Andover Police Department, the Andover Public Schools is resuming A.L.I.C.E. training for this school year. For more information on A.L.I.C.E., please watch this video produced and offered by the Waltham Police and many questions can be answered on the A.L.I.C.E. website. 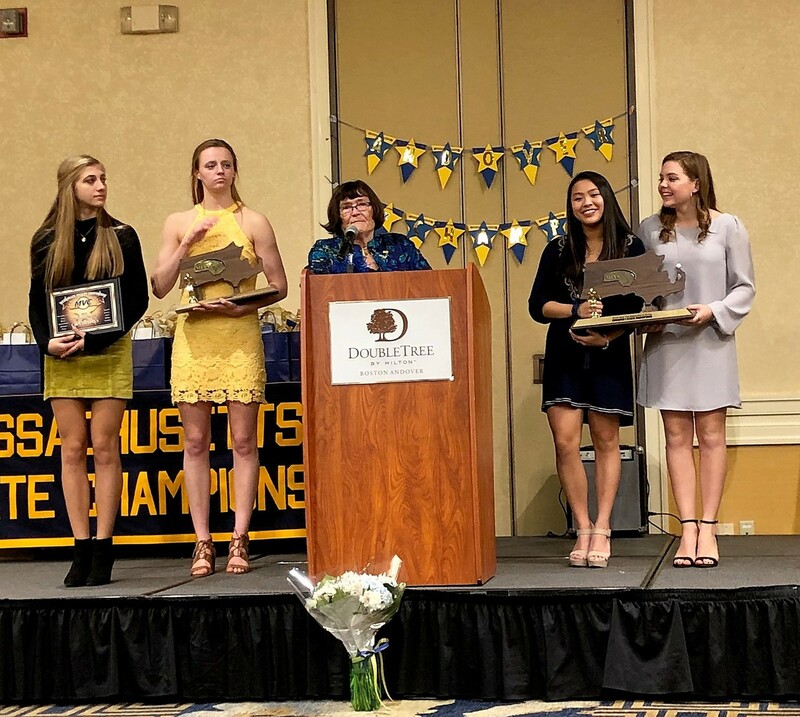 Last week’s Warrior Wednesdays featured Marilyn Fitzgerald, Andover High School’s Girls Swim and Dive coach, who has brought her team to win 18 out of the last 19 state championships. After a nearly 50 year career, Marilyn announced her decision to take a little more time for herself. She made her retirement official at the Girls Swim and Dive banquet, held on Monday, December 3, 2018. Superintendent Shelley Berman thanked Marilyn for her years’ of service to her team and the entire district. Best of luck to Marilyn, we are so grateful for your commitment and contribution to all who had the opportunity to work with or play for you. South Elementary School hosted the North Shore Astronomy Club (NSAC) for a Star Party on Thursday, November 29th. 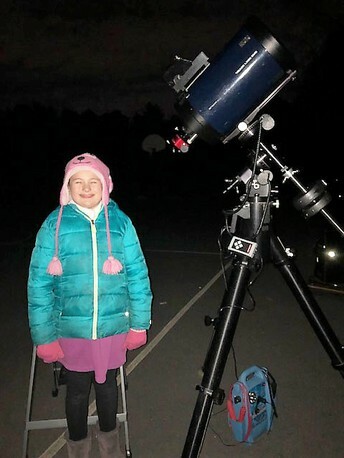 Approximately 100 South School 4th and 5th grade students and their parents hosted five NSAC Volunteers and their telescopes as they helped students view the stars. Participants, including South Elementary student Madelyn Esposito, were lucky enough to see globular clusters, nebula and planets including Mercury and Mars among a variety of other astronomy sights. It was especially exciting for the 5th graders because the Museum of Science's portable planetarium visited South a few weeks ago and the students were able to see the night time sky as viewed from the planetarium. The School Committee is continuing its practice of holding informal forums with Andover families and the community. The first forum will be held on Saturday, December 8, 2018 from 9 a.m. - 10:30 a.m.
As with previous informal forums, there is no set agenda and we welcome comments on any topics related to our schools. The community is welcome to join at any time during the forum. We invite you to join us on the top floor of Memorial Hall Library. Because these session are attended by only two School Committee members, they allow an interactive dialogue. Issues raised at the forum that require further discussion with the entire School Committee will be communicated during the regular business meeting in one of the following meetings. We hope to see you if you have an issue you'd like to discuss or suggestions and compliments to pass on. While Saturday, December 8th will be our first forum of the 2018-19 school year, we make every effort to offer a variety of days/ times. Tuesday, January 15th at 7 p.m.
Wednesday, February 13th at 9 a.m. The Interact Club at Andover High School is collaborating with the town of Andover’s Community Service Department to help provide a holiday gift box for 100 local Veterans. In order to accomplish this goal, they need your help! For any questions, please email Director of Veterans’ Services Mark Comeiro at Mark.comeiro@andoverma.us. Looking to cross a few things off your holiday list? Stop by the Holiday Fair at the Senior Center at Punchard on Friday, December 7th from 9 a.m. to 7 p.m. for a great selection of baked goods, crafts, jewelry and much more from local artisans. The event is hosted by Andover Elder Services and all proceeds support programs at the Senior Center.